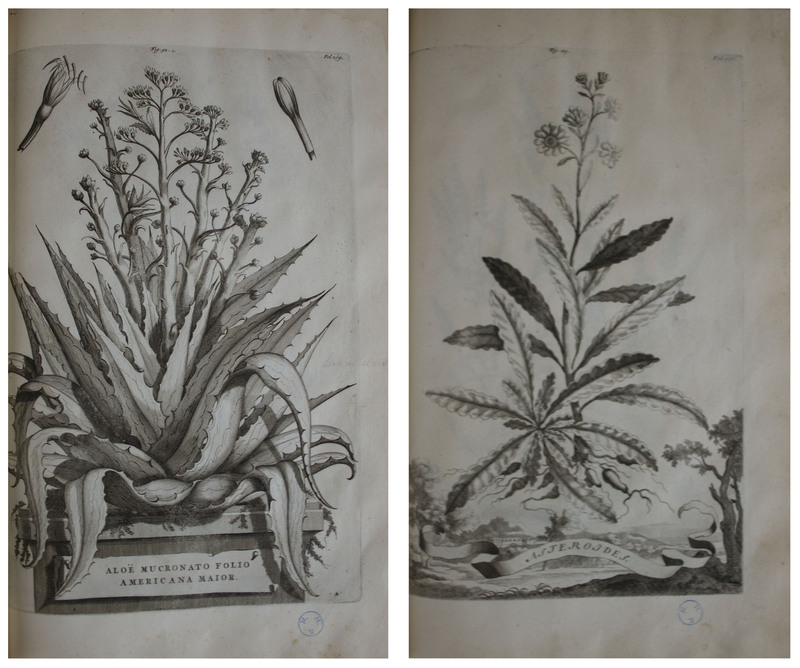 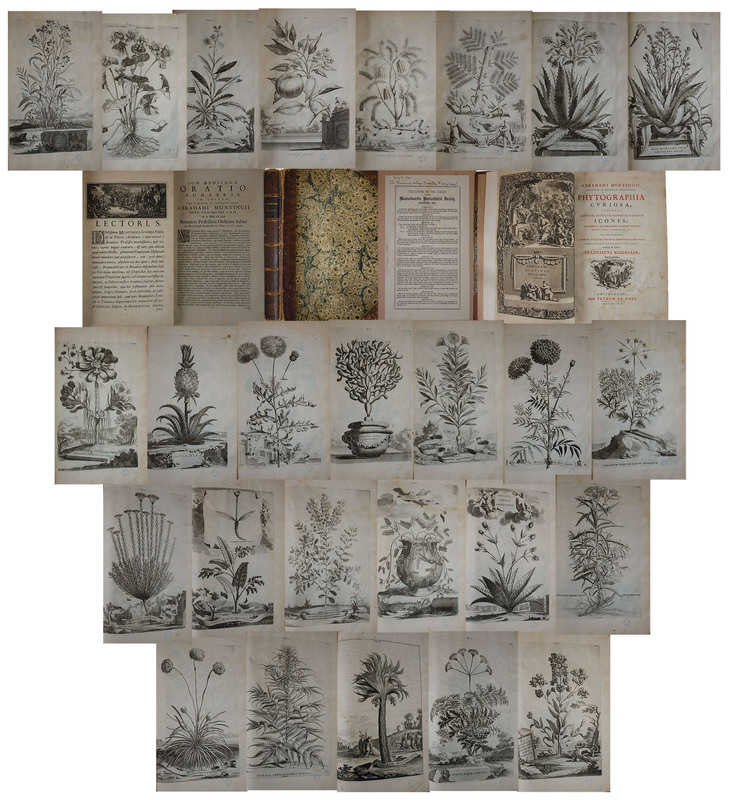 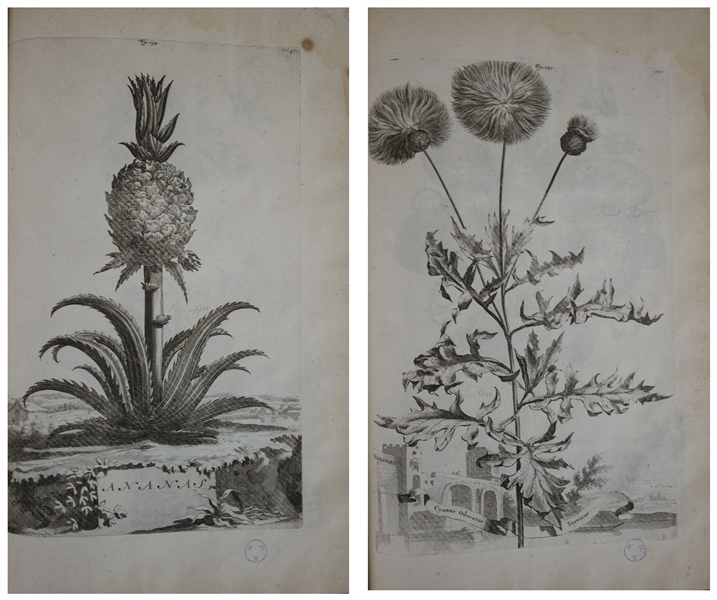 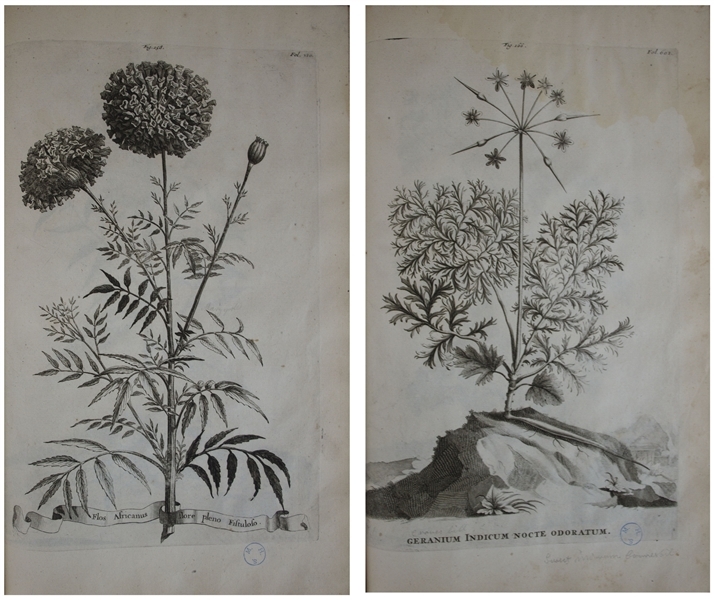 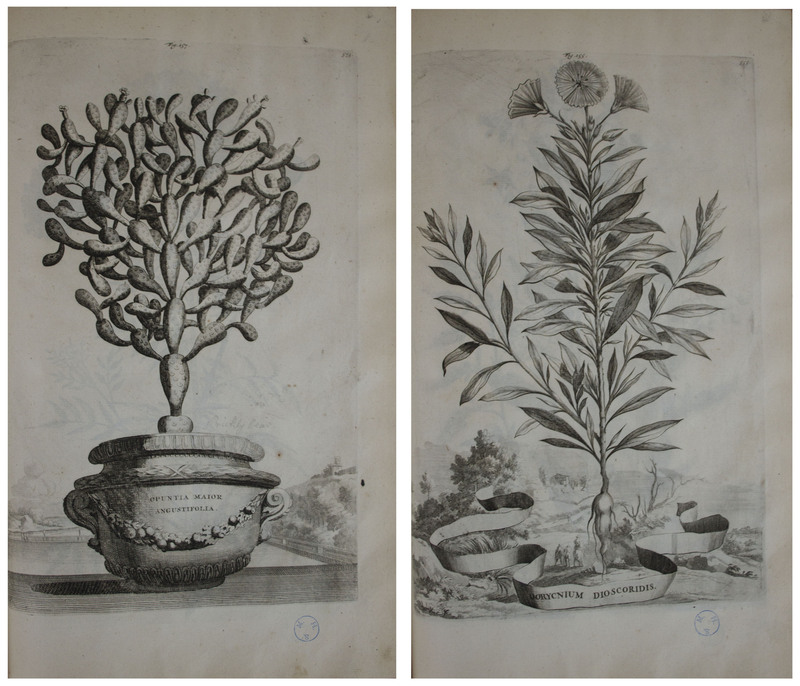 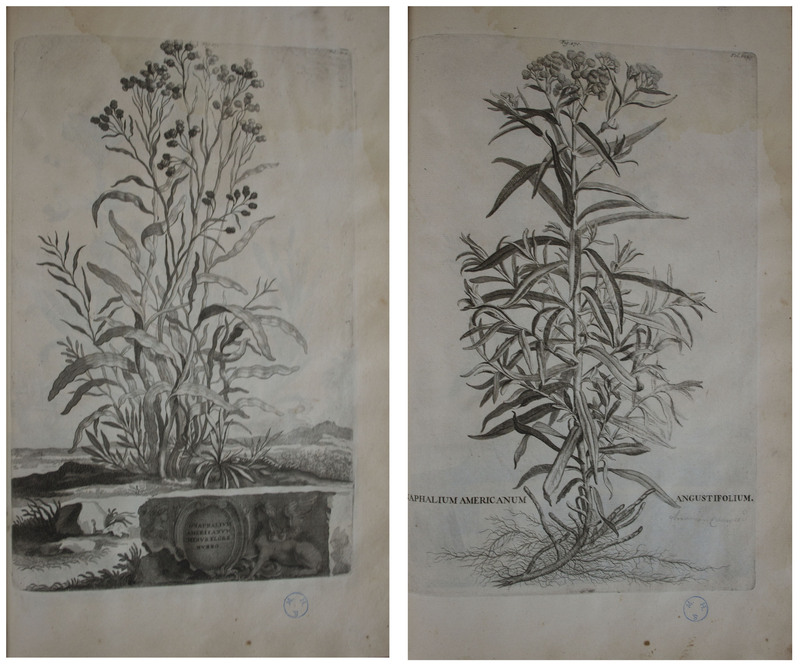 Beautiful example of Abraham Munting's classic botanical book, ''Phytographia curiosa, exhibens arborum, fruticum, herbarum, & florum icones'', the first Latin edition published in 1727. Amsterdam: Petrus de Coup. 1727. Large folio book measuring 10.5'' x 16'' features 245+ engraved plates ''remarkable for their elegance and originality'', so much so that they inspired Johann Volckamer's illustrations published shortly thereafter. Munting's illustrations feature large plant and floral species floating above the landscapes and cityscapes in which they're found; the Mytle Tree, for example, towers over a scene of women attending to their livestock, and the Rose is shown floating above an idyllic nature setting. Other engravings show the plants over architectural buildings. Munting's family founded the botanical garden of Hortus Haren in Groningen, Netherlands, and his book, when published, was considered the most innovative of its kind in presenting plant species. 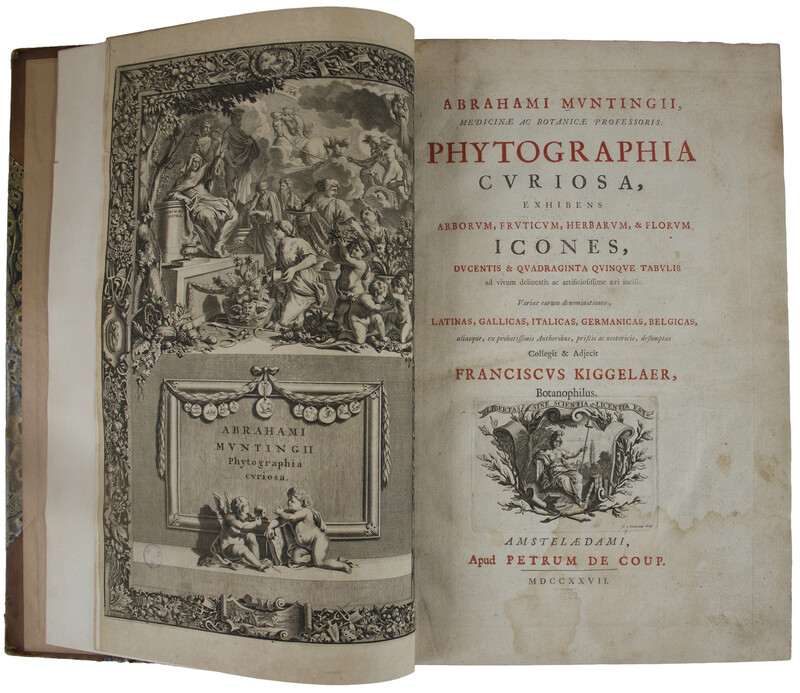 The edition is comprised of two parts in one bound folio, identified as the first Latin edition, third printing. 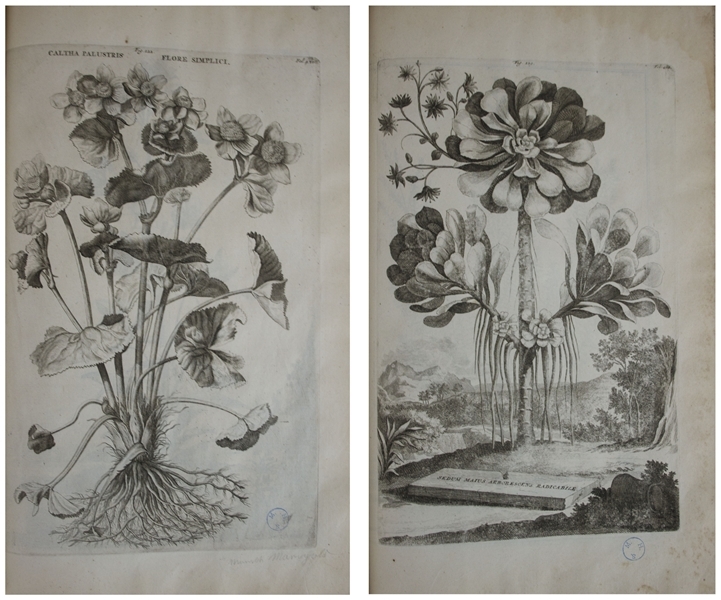 Engravings are unsigned except for a single plate by the renowned engraver Joseph Mulder. 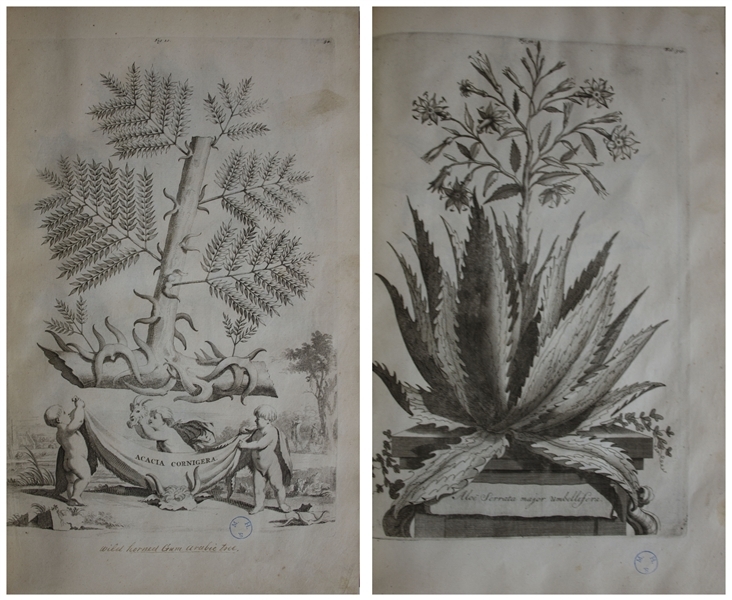 Additional allegorical plates as frontispiece and as headpieces are by Jan Goeree. 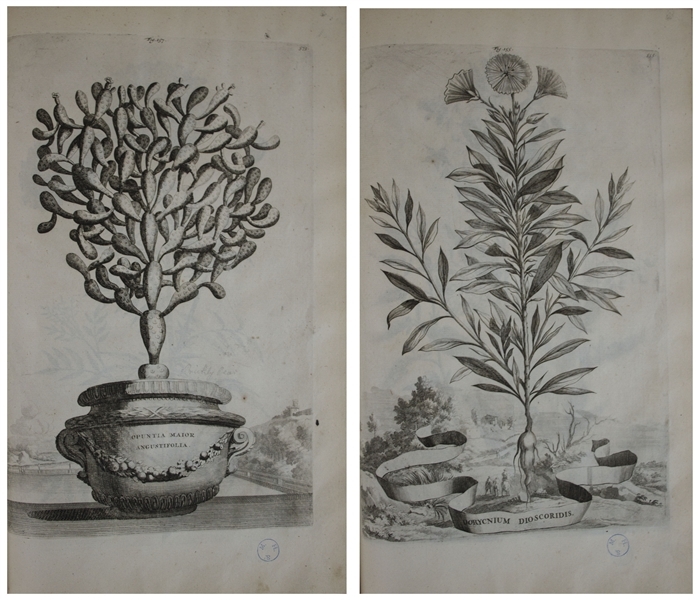 Engravings 1-47 have early and elegant handwritten identifiers at bottom edge of plates. 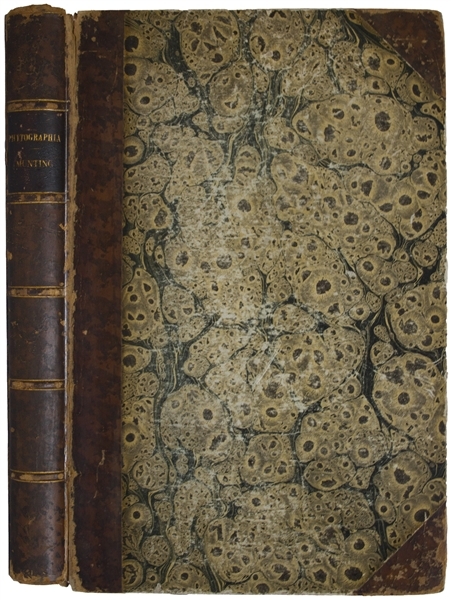 Book is bound in 19th century half-calf over marbled boards, with gilt titling and five raised bands on spine. 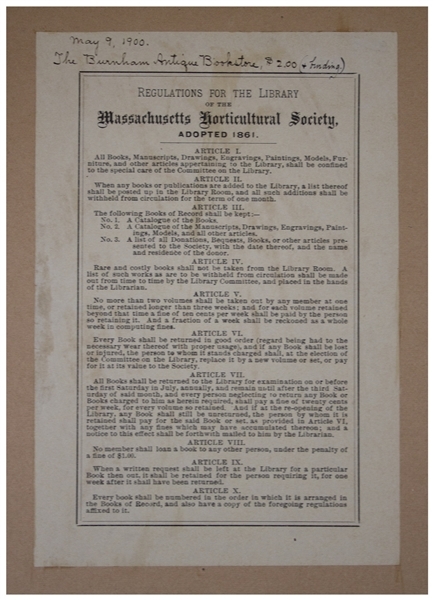 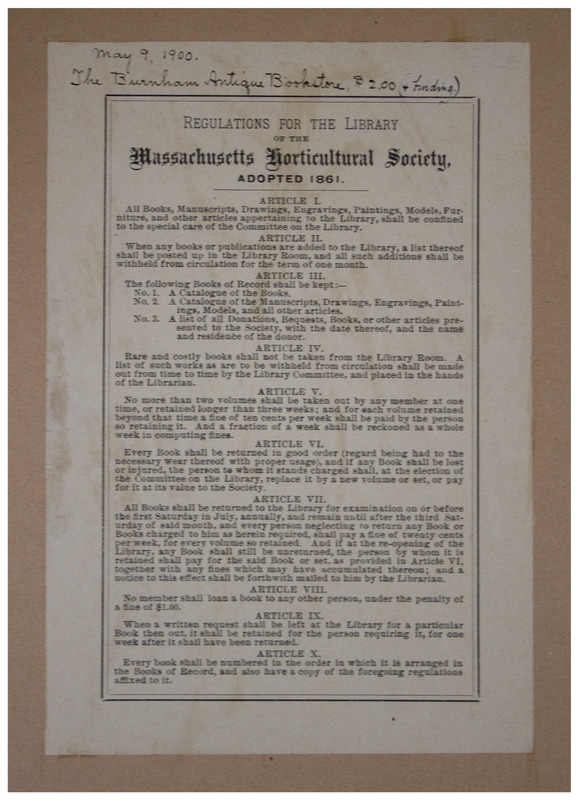 Copy is from the Massachusetts Horticultural Society, whose bookplate appears on front pastedown and stamps throughout, mostly discreet to lower edge of plates. 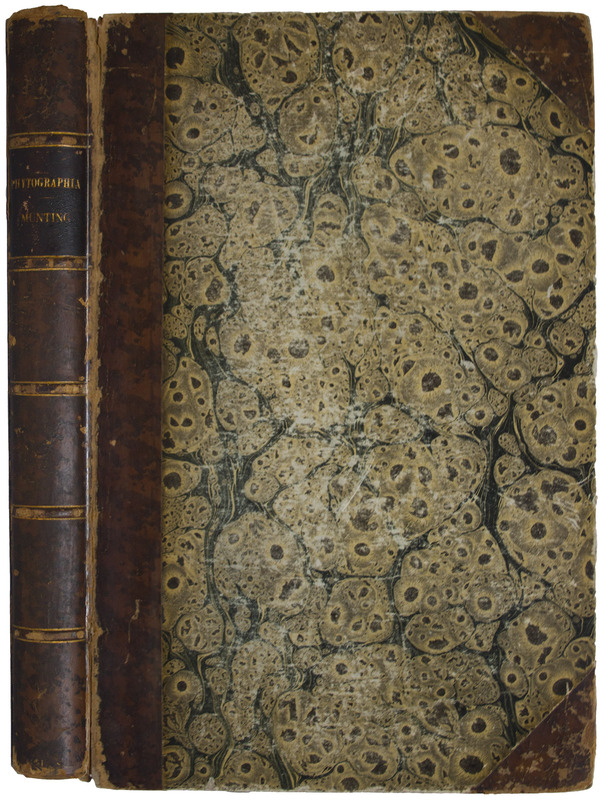 Inner margin repair to engraved title plate, dampstaining to title page and approximately 25 plates near end, and light shelf wear given age, with some rubbing to boards and joints starting at ends. 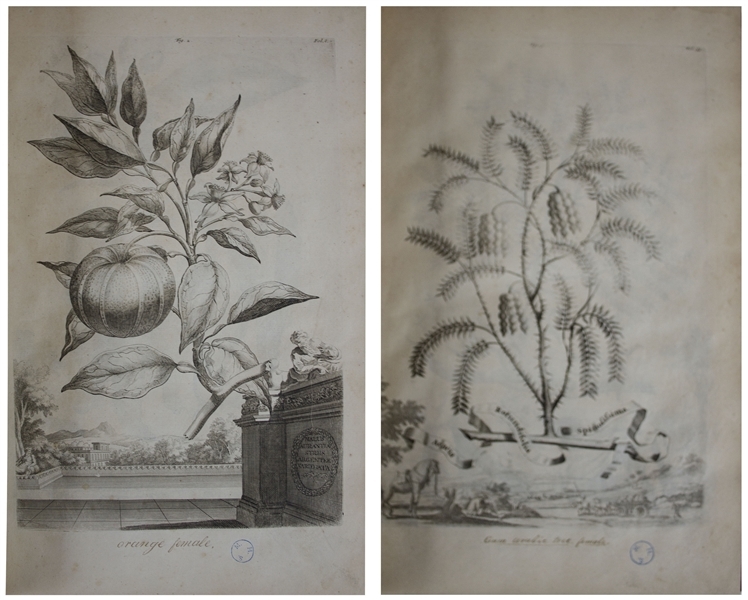 Overall a very good plus copy given age, with spectacular engravings, most in beautifully preserved condition.